12 by 9 in. 30.5 by 22.9 cm. 11 1/2 by 9 in. 29.2 by 22.9 cm. 12 by 8 7/8 in. 30.5 by 22.5 cm. 36 by 23 3/4 in. 91.4 by 60.3 cm. 12 by 11 in. 30.5 by 27.9 cm. 12 by 8 1/2 by 10 1/2 in. 30.5 by 21.6 by 26.7 cm. Diptych, overall: 61 by 120 in. 154.9 by 304.8 cm. Diptych, overall: 60 3/4 by 117 1/2 in. 154.3 by 298.5 cm. 84 by 60 in. 213.4 by 152.4 cm. 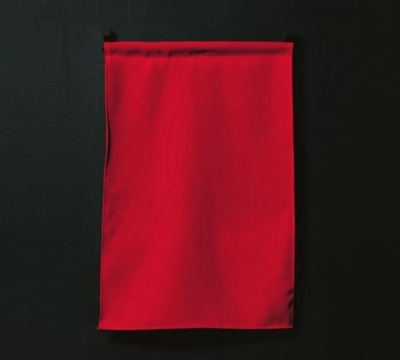 Mitchell-Innes & Nash is pleased to present Colored Waiting Room, the third solo exhibition of Pope.L at the gallery and his second in the Chelsea space. This show’s incorporation of drawing, painting, sculpture, and projections display the artist’s versatility and use of various media in his practice. In this exhibition, Pope.L addresses a lack within language with a playfulness which is both enigmatic and astute. As evident in his Skin Set drawings, Pope.L collaborates with society’s use of color terminology to characterize notions such as ontology, gender, race and social value. The current exhibition includes a large group of Skin Set works as well as two new, large-scale diptychs with a ‘cousin’ focus. In addition, through sound and olfactory pieces, the viewer is invited to contemplate the exhibition through an almost synesthetic dialogue with color. Pope.L was born in 1955 in New Jersey. He currently lives and works in Chicago, IL, where he is an Associate Professor in the Department of Visual Arts at the University of Chicago. He has had solo exhibitions at institutions including the Art Institute of Chicago, the Carpenter Center at Harvard University, the Santa Monica Museum of Art, and the Kunsthalle Wien. The MIT Press published a monograph to accompany The Friendliest Black Artist in America, his 2002-2004 traveling survey exhibition. His work has been exhibited and performed at Museum of Modern Art in New York, The Whitney Museum in New York, Museum of Contemporary Art Los Angeles, The New Museum in New York and the Renaissance Society in Chicago. 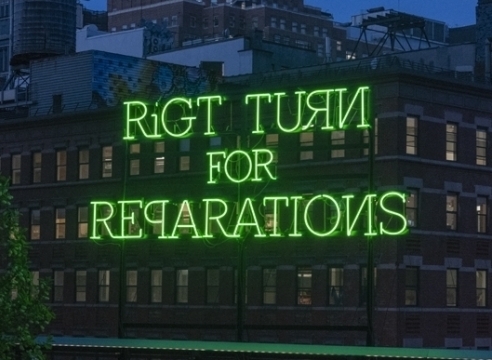 Recent exhibitions and performances include Radical Presence: Black Performance in Contemporary Art at Contemporary Arts Museum Houston, Texas; Flux This! With Pope.L and Special Guests at Museum of Modern Art in New York, NY; and The Long White Cloud, Te Tuhi Gallery, Auckland, New Zealand.